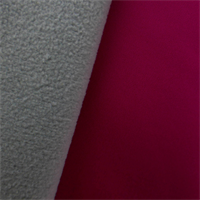 Super soft double sided fleece knit fabric with one side mid loft shagged and the other side of low finely brushed fleece. Use in outerwear, sweaters, and other warm end uses. 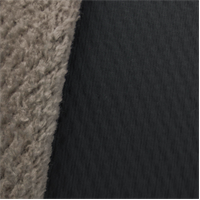 This durable, double layered, performance soft shell fabric is created by combining a stable twill woven fabric with soft brushed fleece back. 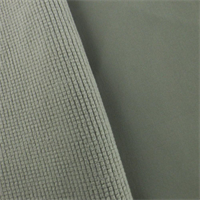 The woven face of this fabric has a water resistant coating which allows water to bead off the fabric surface, and is suitable for activewear, jackets, and outerwear items. 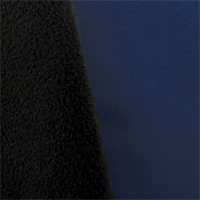 This durable double layered performance soft shell fabric is created by combining a stable woven fabric with a micro grid patterned fleece back. The woven face has a water resistant coating which allows water to bead off the fabric surface, and is suitable for activewear, jackets, and outerwear items. Gridded micro woven fabric with soft curly fleece back. 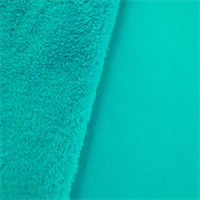 The face of this woven fabric has a water resistant coating, and is suitable for activewear, jackets, and lining. 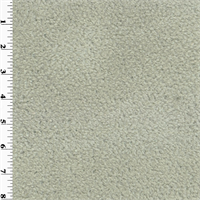 Stretch faux twill embossed vinyl double layered fabric with soft brushed fleece back. 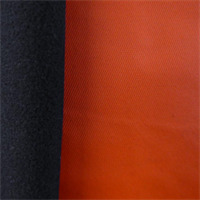 The face of this fabric has an almost plastic feel and water proof coating, and is suitable for active wear and jackets. 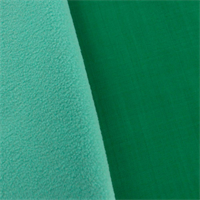 Thin and sturdy woven nylon base with soft natural looking polyester fleece pile is extremely soft. 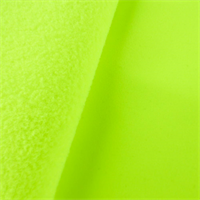 Use it to create fleece-lined water resistant soft shell jackets and other cold weather items. Constructed by Polartec. Group buy from Fabricline.com.